I set up a new VPS instance of Ubuntu and am wondering what the easiest way is to get up and running with a basic LAMP stack (i.e. which packages are required, which configuration options need to be tweaked, if any, etc.). It will install all the basic LAMP stack for you, prompt for MySQL root password, etc. 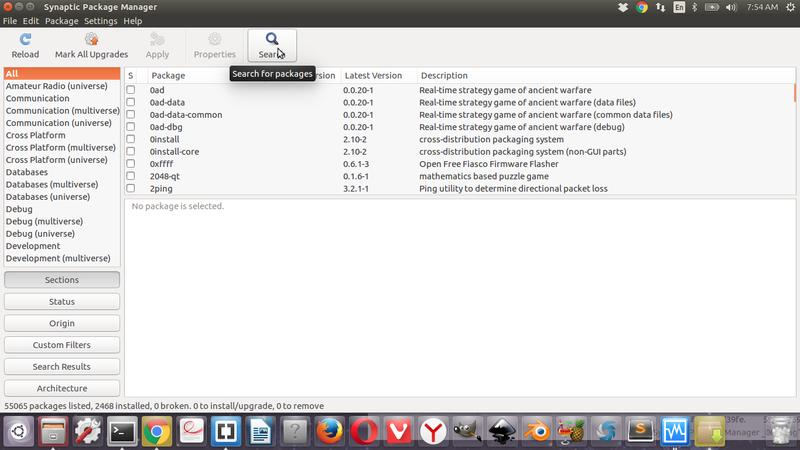 More specifically it will install the following packages, and their dependencies. You might also want to take a peek at the Ubuntu Server Guide. 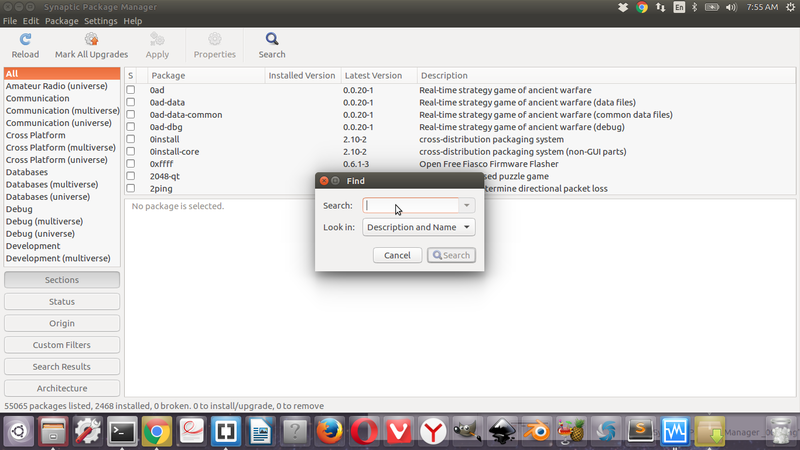 In Synaptic, click edit and mark by task. Then select LAMP Server and hit apply. Done. The following wiki pages can be very helpful if you are starting with apache. Scroll down to Apache2 and select the box left to it. 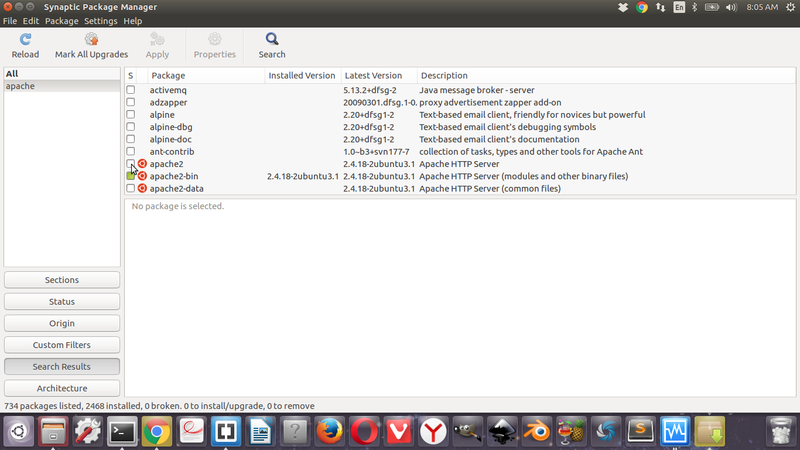 Select all dependencies and follow on screen instructions to install. During installation of mysql-server system asks for root password. Provide it. After everything is complete, close synaptic. Then your mysql-server installation is successful. You can also install phpmyadmin using synaptic. During installation it will ask for default server to use. Select apache2. Follow other on screen instructions. In the username field type root and in the password field type the password for root user you have selected during mysql-server installation. Now you have successfully installed phpmyadmin on your system. You can install Bitnami lampstack. (Package containing all necessary sub packages of LAMP). Better drag and drop the .run file from your desktop after typing chmod 755, press enter. Now double click on the .run file. It will guide you through the installation process. I have a made an easy to use, simple bash script that installs LAMP stack on your system automatically. Also phpMyAdmin installation included in the gist. Not the answer you're looking for? 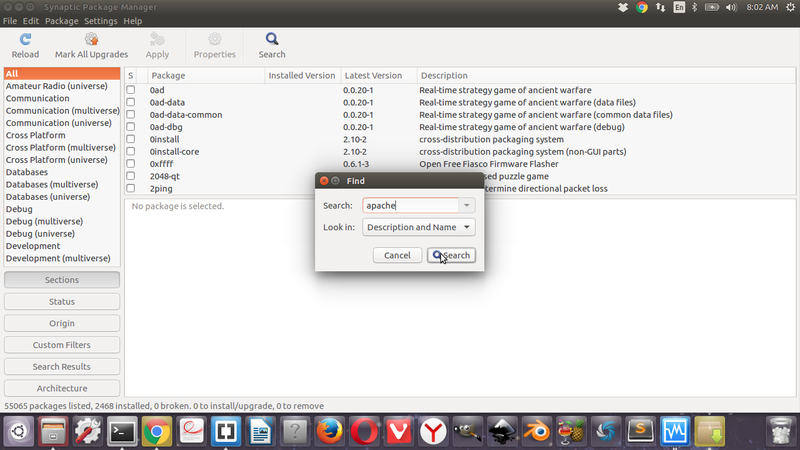 Browse other questions tagged software-installation lamp or ask your own question. Web Server on Ubuntu 16.04? How to install LAMP server in Ubuntu 16.04 and add www document root to user's home? How do I install Apache and PHP on 11.10? How to move a LAMP setup to a new Ubuntu server? How to set up directory backup? How to remove LAMPP packages?